GTU results 2018: Gujarat Technological University, Ahmedabad has recently declared its result for the MBA semester IV exams. To check the result, students will require their enrollment number. Students should note that they will be able to submit re-check or re-assessment till next month. Step 2: Select the exam from the drop-down menu. Step 3: Enter your roll number/seat number. Step 4: Now, enter the security code. Step 5: Click on Search and view your result. Step 6: Download the result and take a print out for future reference. 1. Gujarat Technological University was established by the Government of Gujarat vide Gujarat Act No. 20 of 2007. 2. 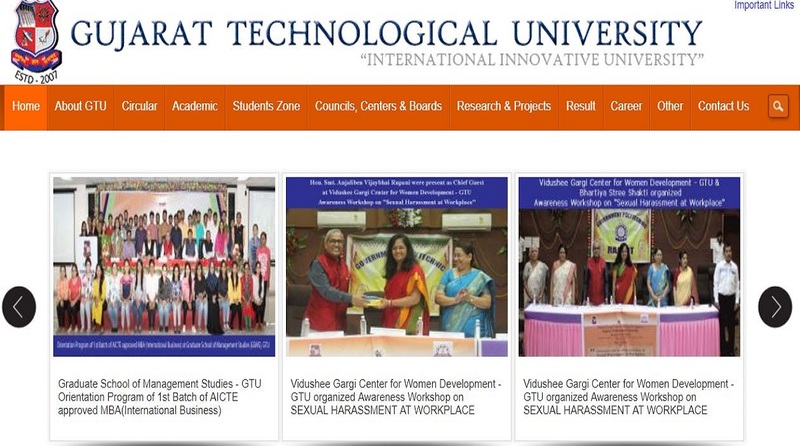 GTU is a State University with 486 affiliated colleges in its fold operating across the state of Gujarat through its FIVE zones at Ahmedabad, Gandhinagar, Vallabh Vidyanagar, Rajkot and Surat. 3. The University caters to the fields of Engineering, Architecture, Management, Pharmacy and Computer Science.